By Marcos Detourist. Updated on July 22, 2016. The Gigantes Islands, also known as Islas de Gigantes or the islands of giants, is a remote group of islands located off the coast of Carles and Estancia towns in northeastern Iloilo, Philippines. It takes at least 5 hours to get there from Iloilo City. Those willing to go the “extra mile” can look forward to enjoying beautiful seascapes and a laid-back island lifestyle that Gigantes has to offer. The islands are blessed with pristine white sand beaches, bountiful fresh seafood, and jagged rock formations shrouded by mystical tales of locals. Despite the increase of tourist arrivals in recent years, Gigantes has retained its off-beat charm and remains relatively underdeveloped compared to Boracay, Bohol, and other mainstream tourist destinations in the Philippines. Further readings: Gigantes travel guide, Gigantes resorts, Gigantes transportation tips. What are the best things to do in Gigantes? Here’s a few from our list of the best tourist spots and attractions in Gigantes. Take an island hopping tour – A visit to Gigantes is not complete without taking an island hopping tour to see its magnificent beaches and islands. It takes half a day, at least, to visit the main sites, which includes Cabugao Gamay Island, Tangke, Antonia Beach, Bantigue Island, and Pawikan Cave. 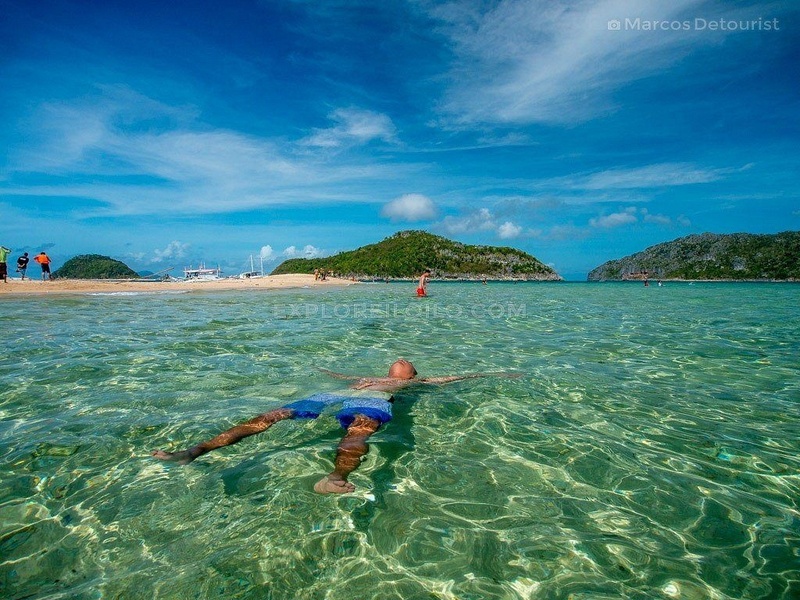 Relax at white sand beaches – Gigantes is blessed with many white sand beaches and sandbars. The main islands, Gigantes Norte, and Gigantes Sur, may have their own sandy beaches but the best ones can be found at Antonia, Cabugaw Gamay Island, and Bantigue, which can only be reached by boat from the resorts. Explore mystical caves – The islands are home to many caves hidden behind steep rock formations and cliffs. Many of these like Pawikan Cave have spacious caverns that can be easily explored. It is said that the island chain got its name from over-sized coffins found at Bakwitan Cave in Gigantes Norte that contained gigantic sets of human bones. Visit the old lighthouse – Ruins of a Spanish-colonial lighthouse found at the northern shore of Gigantes Norte Island. Climbing to the top of the modern lighthouse that stands beside it affords a breathtaking view of the sea. Go Rock Scrambling – A very steep rocky trail in Gigantes Sur leads to the top of the row of limestone cliffs that the locals call as the “Boulevard.” This high vantage point provides a 360-degree view of Gigantes group of islands and the Visayan sea. 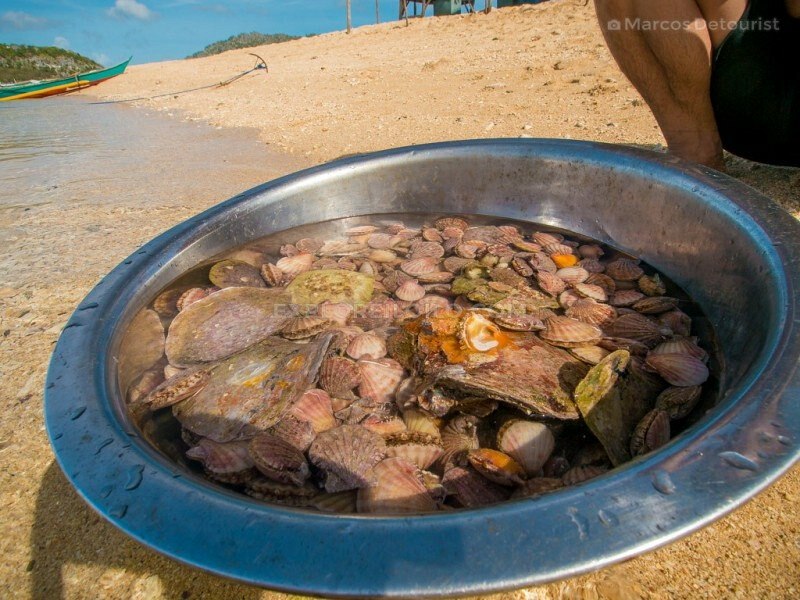 Feast on fresh seafood – You can look forward to cheap and fresh seafood in Gigantes, unofficially known as the scallops capital of the Philippines. The islands are also abundant in fish, squid, crabs, shrimp among other aquatic delights. Prices of seafood here and in Estancia are more affordable than the cities of Iloilo and Roxas, and definitely a lot cheaper than Manila or Boracay. Bowl of scallops shells sold by a local on the beach. Further readings: All things to do in Gigantes. Most of the established resorts can be found in Gigantes Norte Island. These resorts offer basic accommodations and are catered to budget-conscious travelers. Tent-style accommodations are also quite popular in Antonia Beach and Cabugao Gamay Island. Additionally, intrepid travelers can arrange a homestay at Gigantes Sur. Further readings: All Gigantes resorts, Iloilo Hotels and Resorts. The towns of Carles and Estancia are the main jump-off points, which can be reached by land from all major transport hubs in Panay Island including Iloilo, Roxas City, and Boracay. Aboard land and ferry connections, travel time to Gigantes (via Carles) takes around 5-6 hours from Iloilo City, 3-4 hours from Roxas City, and 6-7 hours from Boracay/Caticlan. Bancal Port in the town of Carles is the most convenient jump off point and fastest way to get to Gigantes Islands. Passenger boats from both Carles and Estancia run once daily leaving around noontime to Gigantes. Alternatively, tourists can also charter a boat to get to and around Gigantes from either seaport. To travel between islands in Gigantes, you need to charter a boat since there are no options for commuting. The bigger islands, Gigantes Norte and Gigantes Sur, have narrow inland roads connecting different villages on the island. Further readings: How to get to & around Gigantes. Accommodation costs – Fan cottages start at P200 per person per night. Aircon cottages start at P1,500 for cottages that can fit 2 to 4 people. Iloilo City to Estancia – Bus fare is P170 to 180 per person, while the van fare is P150. Estancia Bus Terminal to Estancia Port – Tricycle fare is P10 per person. Estancia to Gigantes – The fare on the commuter pumpboat to Gigantes Norte is P80 per person. The cost of the chartered roundtrip transfer to Gigantes plus a whole island hopping tour is around P5,000 per boat. Island Hopping – Chartering a pumpboat for a whole-day island hopping tour around Gigantes (including a guide) costs P1,500 to P2,000 for up to 10 people. The guide costs an additional P500. Gigantes Norte Lighthouse – P60 per person for the roundtrip motorcycle taxi transfer. Bakwitan Cave Tour – P500 for the cave guide and P200 for the roundtrip motorcycle taxi transfer. When taking the commuter pumpboat to Gigantes, spending at least 3 days and two nights is recommended since the boat arrives in the island late in the afternoon and leave early morning the next day. If you are hiring your own chartered pumpboat, it is possible to visit Gigantes on an overnight trip from Iloilo City. Travelers can also spend the night at the town proper of Carles or Estancia, where there are more options for beach resorts and hotels, and then charter a boat to explore the islands of Gigantes. When taking this alternative, it’s better to stay at mainland Carles since it is much nearer to Gigantes than Estancia. Sample 3D2N Gigantes itinerary for do-it-yourself (DIY) budget travelers. The estimated budget is around P2,500 to P3,000 per person for a group of 4 people traveling from Iloilo by van, staying at a fan room in Gigantes Norte, and doing all of the activities mentioned below. This estimate includes the roundtrip transport commute from Iloilo City, meals in Estancia / Gigantes, and the island hopping charter plus entrance fees. Buy food (at least for the first day), water, and other necessities in Estancia since the islands are limited to sari-sari type stores only. On your second day, you could buy fresh seafood in the islands but be sure to go to the selling area early morning since the locals usually send most of their catch to the mainland. You may also arrange this with your resort. Be sure to have enough drinking water for the whole duration of your stay. There is potable spring water in Gigantes Sur if your stomach is up for it. Electricity only runs at scheduled hours of the day/night. Electricity is turned on late in the afternoon until 11pm and then switched to a power generator, depending on the resort. The Gigantes group of Islands are also popularly known as Islas de Gigantes, which means “Islands of Giants” in Spanish. Its two most populated and largest islands by land area are Isla de Gigantes Norte (North Gigantes Island) and Isla de Gigantes Sur (South Gigantes Island). is ther any any available for reservation for 6 persons? in 3 days and 2 nights? My fam plan to go thr on apr 13 to 15 do i need to book for our stay there? How can we call for reservat’n? Do i need to reserve or book? Do they operate on holy week? We are interested, where can we book for the gigantes tour? 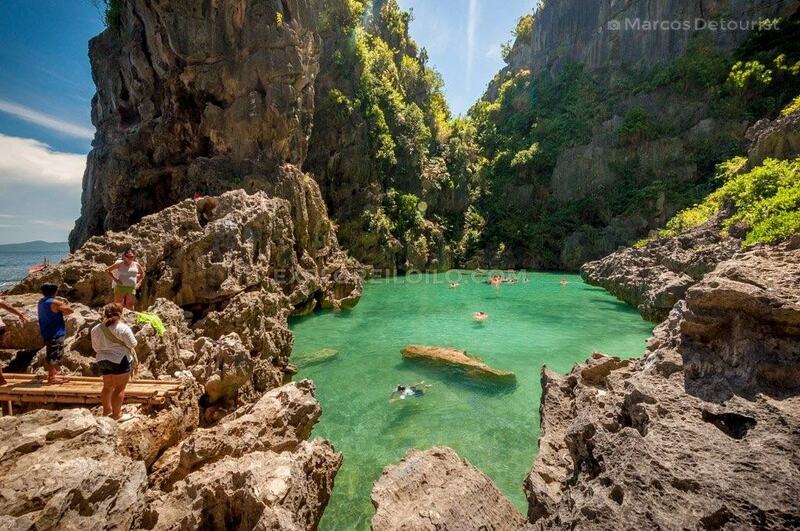 Plan ko po ipasyal ang 2 kong anak at nanay ko po with in this year…magkano po ba lhat na magagastos for 3 days in Gigantes Island? My partner and I are planning to go to Iloilo this coming April. I find this very helpful because gigantes island is one of the places we included in our bucket list. Thanks for this! Just a question, are tents allowed to be set up during the night. We dont prefer to stay in a cottage for it will also add to our expenses, too. Thank you! Thank you for this. I’m at Ceres Liner Bus Station now bound for Carles to experience the Gigantes Island after the Dinagyang Festival finale. Your article is a great help though in the travel cost/itinerary, you only included the trip from Iloilo City to Estancia Port. I was looking for the Iloilo City – Carles details. Glad to have found it in one of the comments. Hi sir , This Jan 24-28 2017 im at ilo ilo alone kaso i dont have any idea where to go and what to do. Kaya salamat dito sir. Kaso I do have a question , magkano lahat nagastos nyo during your stay sir ? Hehe Thank you ! For the whole island hopping pumpboat rate 1,500 -2000, is this per person or for the group plus 500 for the tour guide. —-> i would like to clarify this. 1) 1500 – 2000 per person? or per tour (regarless of how many person)? 2) if per person, how much it the minimum no. of person per tour? 1) 500 payment for the guide regardless of howmany person will go to the cave? or 500 per person payment to the guide? Bancal port in Carles is a better gateway to Gigantes. The boat ride is shorter because it is closer to the islands. My friends and i are going to Gigantes on Sept 8th for a day trip. Could you give us an idea like what time we should be in Carles for the boat? And how much will we need to pay for a private pump boat for 3 for a whole day of tour? If there is a boat that we can share with others small pax, that would be much better! Planning to go here this coming nov. 9-10 2016. :) Baka may pwedeng masabayan. Please let me know. Thanks! Here’s my number 09167563864! ? my friend and I are going on sep13-15! dalawa lang kami, anyone who wants to join us? para makatipid :) email me! [email protected] thanks!! HI Marcos! Good things I visited your site. 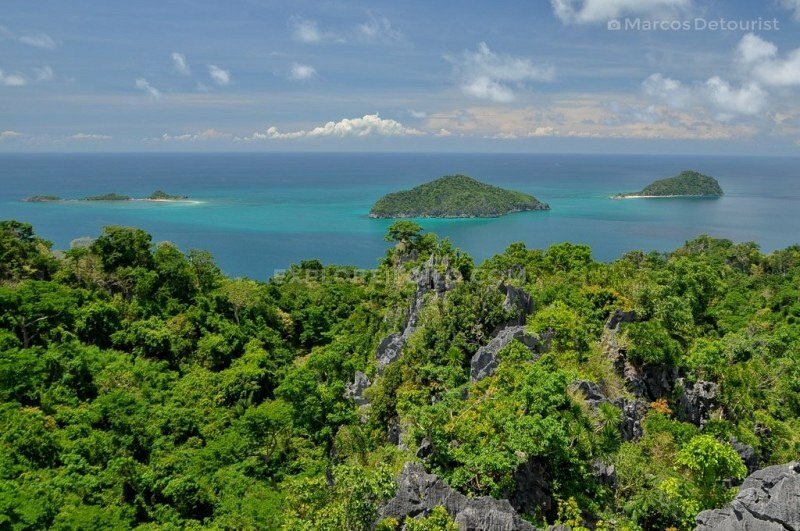 I’m having a hard time to decide where and how I can reach Gigantes Island. Actually I have not planned anything yet. My partner and I will arrive in Kalibo this Friday morning and I was thinking If we could go to Island the next day sat then have an overnight stay. Our flight back to Cebu will be on Monday morning and still in Kalibo airport. Please… can you suggest how we can make it? i’m out of budget as well. Is 2000 just ok for one person? Okay lang ba pumunta doon month of September? Hindi ba delikado dahil maulan sa buwan na yon? May plano kami kasi Sept 23-26 2016 sa Iloilo then punta ng Gigantes sana. Please advise po. Thank you. Anyone want to join us? we are going to Gigantes this coming January 27, 2017 we’re 6 pax, interested to join us are welcome pra maka tipid tayo guys. txt me 09496405384 or msg. me at FB Rowena Alfarero Celerio. see u there! Hello, me and my partner have got some information about the place’s accessibility from Cebu via Daanbantayan. We would want to know if there is such option. And if there is, would want to ask about the how-to. Thank you! 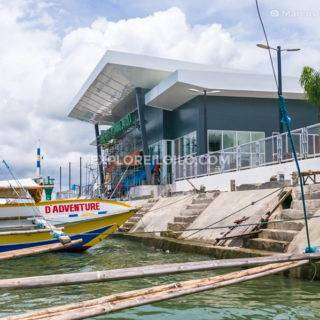 The ferry route from Cebu to Estancia, Iloilo is not from Daanbantayan, but from Bantayan Island. There are ferries from Estancia that go to Gigantes. You may also travel by land to Bancal Port in Carles and ride a ferry from there. Where can I hire the pumpboat for the whole-day island hopping tour? The tourist office in Bancal Port, Carles should be able to help you when you arrive there. I would like to commend the writer as he definitely was thinking of his fellow Filipinos who would want to visit the islands. The practical rates and options he enumerated are very encouraging for a mid-class earner who wants to treat the kids to a good but cost-attainable vacation. I will definitely start saving for this trip now and hopefully be able to go with my 3 kids next year. Keep up the good work and intentions, Mr. Marcos Detourist! We will be in Isla de Gigantes on July 15-16 (4 pax). As per Mr. Joel Decano private boat rental for 2d1n is 5,500 while the group tour package for 4pax is around 2,600 each. Any suggestion guys kung saan kami mas makakatipid? It depends on what is included in the package. Carles is the best jump-off point to Gigantes since it is nearer to the island. Me and my hubby are planning to go to Isla Gigantes anytime this month. Preferably this weekend or next, on a 3days/2nights stay. Anyone interested so we can share expenses. Groupies of 5 and up can save a lot on a boat rental for island hoping I heard. Sms me on 09272701374. Can i go in gigantes by july or august? I have some relatives in that islands. Of course you can. To be safe, check the weather reports if there are incoming typhoons. Its is possible to explore gigantes for atleast one day? We only have 3 days and 2 nights trip but we decided to visit boracay first for maybe 2 days and one night . We rent a van so no need to wait for the buses and save time. Do we need to book a pumpboat ?. How many person per pumpboat? Yes it’s possible, but you have to plan the timing well. It’s better to hire a pumpboat, if you want to maximize your time. You can rent it for the roundtrip transfer to Gigantes and the island hopping around the islands. I suggest that you do Gigantes first since it’s quite far, and then visit Boracay, where it’s nearer to Caticlan or Kalibo Airport. It’s possible to do a day trip to Gigantes and spend the night at either Carles or Roxas, if you have your own transport. Thank you so much for the info really a big help.We leave hk -iloilo 2:20 am and arrive maybe 4:30 am. Our ticket hk-iloilo round trip. You think its better gigantes first than boracay?.. You should ask them if they can arrange the boat transfers & island hopping. Boracay to Iloilo transport. You should leave Boracay in the mid-morning, preferrable, not later than 12nn if you are departing on the 11PM flight to Hong Kong. Return flight to Hong Kong. You may want to check the Kalibo-Hong Kong flights if you can still make changes on your plane ticket. Are the pumpboat rentals inclusive of the island hopping? Thanks. hi, may i ask what’s the best route to carles? Is it from Ilo-ilo or Roxas city? we’re planning to have a tour on july 28-31. Roxas City is nearer to Gigantes. If you can book an early morning flight to Roxas, it would maximize your time. Is it true that all guests going to gigantes need to take passenger boat in bancal port? what are the schedules of ferries going to gigantes from bancal port. please? i want to visit gigantes maybe next month.. Anybody who’s interested on going Island hoping for a day at Gigantes on June 5, 2016 that’s Sunday, please let me know. There’s only 4 of us and would like to share the cost of the ride. Shoot me an email [email protected]. Can’t wait to share the fun. Is there anyone who’s interested joining me this coming May 12-14 in Gigantes? Solo traveler here. For those interested please contact me @ 09275905786. We are planning to go to Islas de Gigantes this coming July 7-10,just want to ask if its best that we start from Roxas City to Carles? May 7 – 8, 2016. Five kami sa group (2 girls 3 boys) from Iloilo City. Wanna join our group and explore Gigantes together? Let’s enjoy the beauty of Iloilo message me at 09778021128 or email [email protected]. 30, 2016 four (4) lang po kami para maka LESS tau sa boat rental..
We’re planning to go at Isla. We are a party of 6. If you want, we can go together para mka less tayo. interested party here. can i have your contact details. mine is 09272701374. hope to hear from you soon. thanks. we’re planning to visit Isla Gigantes as our first destination of our Panay Island tour for two weeks probably last week of April to first week of May. Will travel by Nov17-19, 2016.
meron po ba mag Islas de Gigantes by FEB 07-9 2017? between 2nd to 3rd week of March. year any possible package or tour that guide us to easy get to our trip in island . is any possible were 12 persons already go to iloilo for next getaway tour . kindly email us : [email protected] / 09266616949 erick here. hope see there on that date. Hi! Planning to go to Isla Gigantes with my partner on March 26. Baka may gustong sumama pra mka less tayo sa mga boat fares. Please message me on fb. Search Anna Rose Cereza from Bacolod. You can also send me an email message to [email protected]. thank you! Baka my mag travel po sa inyo on Feb. 18 0r 19 to gigantes para sasabay po kame ng mrs ko para lesser ang fare sa boat just tx me 09086152691/[email protected] thank you po. Low po sino po ba ung may schedule for February 25-27 papunta gegantis? 4 lang kasi kami Ito po email add ko [email protected]. baka pweding sumabay 3girls w/ 1boy lang kami.thanks! I am a single male 60 years old. on march 6-7, 2016… 7 kami baka sino gusto sumama sa group para maka less tau sa boat rental.. thanks..
msg me on fb… kung meron gusto.. thanks..
hello pwede maki join sa inyo? Just came back from a 3D/2N stay in Gigantes Norte – Arjan Resort. If you seek seclusion and tranquility stay at the private resorts in Cabugao Gamay and San Antonia. Do not stay in Gigantes Norte and Sur resorts unless you don’t mind being surrounded by the island’s residents. People’s houses are literally at the back of Arjan and Jesa resorts (both at Norte), they’re beach front alright but it’s always low-tide and no waves – you got to walk at least 50 meters for a knee deep water, it’s more like a lake than a sea. People might want to know that there’s a boat travelling to and from Carles and Gigantes island. Carles is closer to the island – just 45-minute boat ride as opposed to 2 hours from Estancia port. It leaves at 10 am for Gigantes and goes back to the main island at 1 pm. Much earlier than the ones in Estancia (2 pm to Gigantes and 8 am the next day back to Estancia – not a very efficient time). Best to do day tour if you’re after the island hopping experience only. Hi! Good Day! 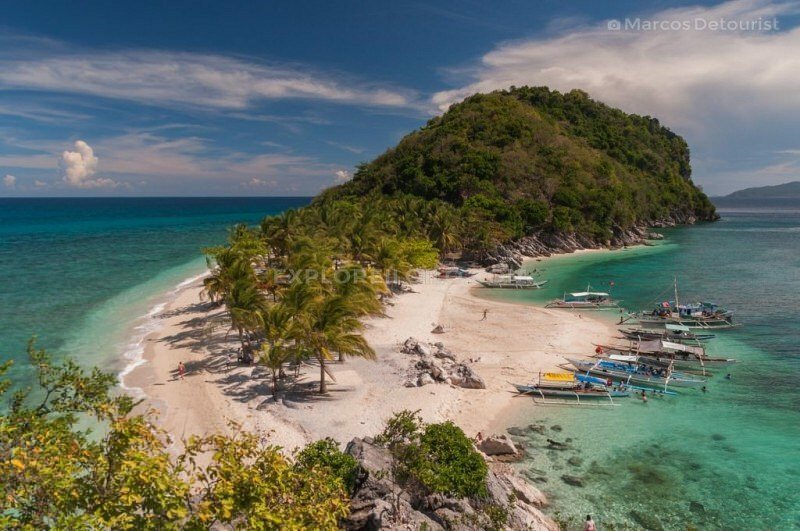 Me and my friends are planning to go to Isla Gigantes this coming holy week.. Do you have any suggestions where can we stay ang have our booking or reservations.? Thank You! can i have more info about your tour in Gigantes? Do you have any recent contact numbers in any of your recommended resorts? Thanks. Thanks for the info ..gonna visit isla de gigantes soon…. hi! ill visit gigantes this december, but am a solo traveller, so my question is do i have to rent a boat to go around the islands myself or they can arrange a joiner traveller in one boat.. i think it will be huge for me to rent a boat just for myself.. hahaha.. please give me some tips.. thanks. hey u stil visitingng giagantes? Hey, planning to go around Panay from Dec 26 to the NY and I’m also looking for people to join. Up for it? Hi! very informative blog. Thanks for sharing. Btw, I have some questions. Madami po bang makukuhang bangka for the island hopping pagdating ng Gigantes? Yung mga tinawagan ko kasi they are offering package tour… parang much cheaper kung rent n lng ng bangka kasi I see some comments na nasa 1,500-2,000 ung rent for the day tour. May contact po ba kayo ng resort sa Gigantes Sur? Mukhang much cheaper kasi kung dun magstay at cheaper din ang bangka since nasa Sur ang mga kilalang islands. And, may byahe po ba ng bangka to Carles to Gigantes Sur? Anong oras po ang alis sa port? I will be going to Gigantes Island some time soon. May I ask if there are Vans we can rent from Roxas airport to go to Carles? Also on the way back where can we get rented vans from Carles to Iloilo? How much would these cost? Would really prefer to have our own time vs. waiting for time of others if we follow public transport. We are a group of 4 going to gigantes island on oct 29, 2015. We will only be able to spend overnight and need to be back in Iloilo the next day, oct 30. We are looking for another group of 4-6 people who can split chartered boat costs from estancia to gigantes because we are hoping to leave estancia before 12noon. Our ETA in Gigantes is 11am if we leave Tagbak before 8am. Hi, any groups open for joiners? I’ve always wanted to visit Gigantes Island. I hope maybe I can join. Please add me up on facebook. Staying in Iloilo for the month of Sep. 2015 and found this web site informative and practical. Thanks for info. Your blog is very helpful to those who are first timers to explore gigantes islands like me. Because me and my cousins are planning to have our trip this October. Is it safe to go there around that month? Because that is our only time to have this vacation. Also do you have an estimation and iterinary if we take Carles-gigantes instead of Estancia-gigantes. I think you didnt include carles-gigantes iterinary and travel cost on what you have mentioned above. Your suggestion is highly appreciated. Thank you! It is generally safe to go to Gigantes at any month of the year as long as there is no incoming typhoon or any strong weather disturbances. October is not particularly frequented by Typhoons, but it may happen on your trip, so it’s best to check weathers forecasts before you go. I’ve been meaning to update this guide on getting to Gigantes via Carles. We’ve posted more info on our Gigantes transport guide. any tour guide requirement at gigantes island especially in caving?? or do you have someone to recommend too? Btw, thank you for the informative description to this beautiful place!! and Sir do you have personal blog? We were there last week. I also checked this itinerary for our reference & it was so helpful! It’s just that some of the rates were already changed. You may contact Aldrich 09078862262 for more information (tour guide for our group) & consider staying at Rosewood Place Resort (beachfront). They can also cook the food you want, offers island hopping tours & water sports. Visit their FB page for photos! Enjoy your trip! hi every0ne im going to gigantes on july 1 sino pupunta din sa gigantes on same date ? My wife and I will be in Roxas city on August 22 and we are planning to go to gigantes island on the following day. May i inquire for any group that will be going on the same dates (Aug 23-24) that we can possibly join? 2 lang kasi kami and it would be too expensive to go on a special package…. baka lang po may ma irerefer kayo. Thanks in advance! We have the best tour guide ever. I want to make a little favor for him because he doesn’t know how to go online and wants to have an income. His fee is 500php for 1 day island hopping but he will do more than that. His name is Jedden, +639468516513. We spend 2000php for 3 days, including everything! food, transpo from pres. Roxas,Tip, island hopping fee,snack, accomodation. Liss! Good evening. I badly need your help. We are on crunch time and were going to the islands this weekend but we are on panic mode because the chartered boat we have contacted is too expensive. I liked ur comment coz u said u only spent 2k, nays! How did you do it? Hi what resort did you check in? Does the resort offer everything such as island hoping? Thank you! Hi Liss… Where did you stay in Gigantes? I can’t reach Jedden on the number you provided. Hi! May I know where exactly you stayed in Gigantes Island? thanks! Hello, do you have sample itinerary? we offer an island tour package for 5-10 people. P2,800.00/pax inclusive of transportation from estancia to gigante vice versa, 2 nights accommodation with meals, and 1 day island hopping. if interested, you may contact these numbers 09159875040 and 09079972910.
hi! is anyone there planning to go there by june 19 – 21? i am a solo backpacker! im confident that i can get there because of the informative blogs that i have read. my problem is that i have tight budget, i cant afford to rent a whole package for island hopping. i hope i can join in any group for good. and by the way june 20 is my birthday and i choose to celebrate it at gigantes island. 09096312902 contact me those who have the same date going there! thanks. im so excited! We’ve just operated a new resort in North Gigantes Island with 6 fully air conditioned rooms and 5 native bahay kubo for those who prefer fan room only. We have a new big generator set to ensure supply of electrical power in case of Ileco power outage. We offer fresh seafoods as requested like scallops, crabs, squids, wasay wasay sea shells, litod, etc. For more information and inquiries please see our facebook page at “Gigantes Island Tours & Beach Resort” or call/text bambam at 09499037157.
good day, i’ve been trying to contact the number you provided but nobody is answering. anyways, may i inquire about the rate for 2 pax, overnight on Agust 23 to 24, 2015. What are the inclusions and additional charges for those taht are not included. salamat and i hope to receive a reply from you. HI! I just wanna ask if 6000 pesos is already enough for 2 days and 2 nights of two persons there in Islas de Gigantes, we’re coming from ILOILO City. I have watched drew’s gma7 episode of isla gigantes and i was amazed of the island. I have an early booking Mar29 for our 3d2n tour on April 25to27. He confirmed my booking for package rate of 4 pax. I was requesting since then to have 2 rooms no with no reply. I understand since the island dont have enough signal. I texted again for confirmation of two room last April 20. He replied “we’ll try mam”! What??? A 1 month reservation booking just to reply we’ll try”??? We arrived 3pm and sit at their dining area. The lady in their office ( sister of Joel) told us our room was have to set up. after an hour.Nataniel (our tour guide) advise us to go to our room in their extension. I was shocked for our room. its like the owner of the house evacuated for us to sleep. Cabinets of the owner was still inside no padlock open house. No lights in cr. NO BED FRAMES! I ask the management what happen to our reservation??? We are uncomfortable on our room. The guy told us there is no available room. The only option was tent and transfer in Balubadiangan island.. Its like a take it or leave it option. After dinner we decided our group to transfer on other resort /homestay but the island tour will still be availed at Hideaway inn. The lady frontdesk (sister of joel) offered us for 2500 a/c room. It was other resort in island . OMG! The room rate was offered 1500 for aircon room of 4pax. Then she will quote me 2500. We transfer at Dwelling place for an a/c room 1500 /night 4pax 200m away from hideaway inn. Imagine we will have our meal on their site. We need to walk 200m . This is my worst booking from all my local travelled experience! Gigantes Island is truly amazing! I think the Hideaway inn offers a lot to exprience the Best on the island. I saw other bloggers. that’s why i chose to booked here. What’s bad was they overbooked the guests! For all the travellers out there before you make a reservation on this resort. Make sure you will get the room that what they offered! I have images or text confirmation to prove my experience. Hello Mr. marcos, gusto ko pa itanong sa itinerary po ninyo yung tungkol po sa Day 2 Gigantes Island hopping tour, Naghire po ba kayo ng pumpboat? Pwede po ba mag commute ng pumpboat para mag island hopping? Thanks. Hi Liss. Saving Jedden’s number. Me and my friend is going to Gigantes Island next month Sept 26-28. any tips for us? We’re kinda worried about the expenses coz there’s only two of us lol . hi would you recommend this for a female solo traveler? Hey! I’m currently going to Gigantes Island at the moment and I was wondering about the pumpboat rent, the 5000 you mention was back and forth from gigantes to estancia and vice versa plus the whole Island Hopping tour. Am I correct? And do any of you have suggestions on the cheapest resort to stay in for a 3 days 2 night trip? THANKS! sir do you guys have the bus schedule, Last trip from roxas city to estnacia and estancia to roxas? can we make the 2pm boat if we arrived at the airport of roxas city at 11am???? Hello I just want to ask regarding sa pumpboat po. Ilan ho ba ang pwede makasaky sa chartered na boat that costs 5000? And we can choose anytime we want sa pg punta at pag uwi? We are planning to visit Gigantes in One Whole day lang kasi. Thanks. For P5000, you can rent a pumpboat that has a capacity of up to 10-15 people. Yes you can choose your time of departure depending on your boat contact. Hi Sir Marcos. Standard rate ba yun 5k na chartered boat especially for day tour lang? kahit 2 lang kayo..kasi i have asked and the rate given to me was between 4 to 5k kahit sinabi kong 2 lang kami…thanks! Indeed, astonished and amazed by thsi wonderful creation of our Almighty Father. I just can’t wait to see this with my 2 eyes. Praise God for His creation. God is real! Been looking for this page to get more info about Isla Gigantes. We’re planning to go there this coming april. How much would be the budget for 2 persons. Hi Resty, your budget depends on activities and accommodations that you’re planning to take. You can find the typical costs on the page so that you can calculate the estimated budget depending on how you want to travel. We are from Bacolod, we are looking for a resort that could accommodate us for an overnight or 2 nights stay. We are more or less 20 persons. Could you recommend any resort in Gigantes? Hi! We’ll be going to Roxas City this coming Saturday. Our problem is that we have a tight flight schedule: arriving at 11AM in Roxas Airport (11/29) then departing at 11AM on Monday (12/01) in the same airport. But there’s only 1 passenger boat plying Estancia-Gigantes route which leaves between at 2PM. Will we be able to make it? Is there an alternative way to get in & out of Gigantes? we also have the same problem. Is this really doable? 11am Arrival at the airport travel to estancia and catch the 2pm boat? Hi Sir, how do i get to Islas De Gigantes from Caticlan? 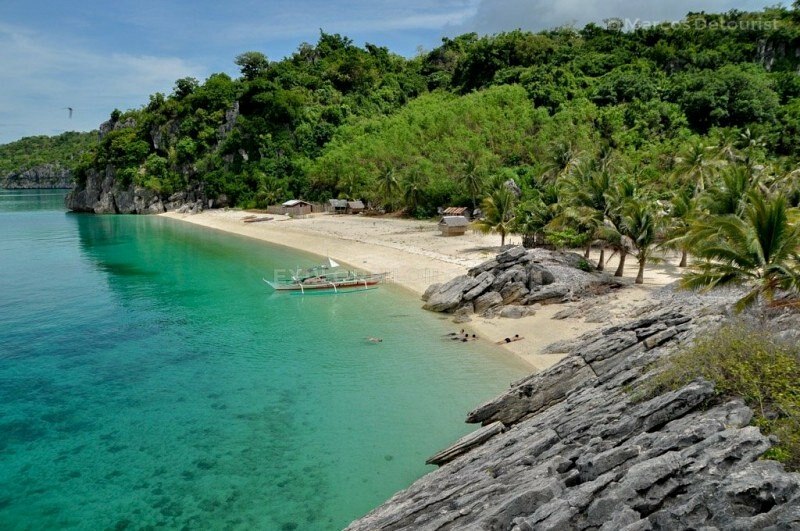 You can ride a van to Kalibo, then Roxas, then Estancia … and travel by boat to Gigantes. I really wish to visit Gigante Island in Oct 2014. will it be allow to travel to there since is a Typhoon season? Any recommendation of tours or acommodation? Rainy days are likely to happen in October but, not unless there is a clear Typhoon warning from weather agencies, Gigantes is relatively safe to visit and certainly allowed. There are multiple (simple) accommodation options when you reach Gigantes Norte. You can also arrange your island hopping tour there. If you are searching for a place to stay with better amenities, you might want to consider staying at the many resorts in the mainland and just make a day trip to Gigantes on a hired pumpboat. The islands are spectacular and not overcrowded. You won’t regret it. By the way , if You want to stay in estancia, check out pa-on beach club. They offer island tours also. If you go to the island alone, you could either rent the pumpboat on your own or try to scout the resorts in Gigantes Norte for other travelers and ask if they would be willing to let you join. hi po. with ur 3 days ang 2 nights itinerary, you arrived 4pm na po sa Brgy. Lantangan so dun po kayo natulog po? ask lng po sana ako sa mga rates ng mga rooms for accommodation po dun if there’s any,. We’re planning to go there po kasi this May. my friends and i are planning to go to the island this may. ive heard yolanda damaged a lot of gigantes. how is the island today?? is it still good as before? The natural beauty of the islands is still intact. However, I am not sure if the accommodations are already functional. Most of the structures in the island were swept away by the strong winds of Typhoon Yolanda. If you are bringing a tent and planning to camp there, no problem. If you’re looking for more comfortable accommodations, I suggest staying in mainland Carles or Estancia and hire a pumpboat for a day trip around the islands. hello.. have you found a group to join? im planning also to go there this holyweek.. I just want to ask what is the best time (month) to visit the islands? @tour_guide – any updates on the island since typhoon yolanda hit Isla de Gigantes? Hi, I have booked a round trip ticket, but the return (Ilo-Ilo to Manila) was I think could give me a problem since my flight schedule is 2:30pm (ETD). Can I catch the flight if the pump boat will leave the Gigantes Island at exactly 7am? What if I try the alternate route which is taking the Roxas City airport going back to Manila, how can I get to Roxas City airport from Gigantes Island? Suggestions are highly appreciated. Thank you very much! Try nyo pa-on beach club sa estancia- paonbeach.com or google niyo paon beach club estancia. They offer different island tours. Hope you read this before your trip. Enjoy your trip (medyo bitin lang!)!!! We are planning to rent a a private boat so once we get to the take off point, we’ll just buy lunch and proceed to the islands. How many hours is the boat ride from Estancia to the islands? I think I’ve read it in the post but due to the long thread, I would just like to clarify. Is it possible to go island hopping in Islas de Gigantes as a day tour only? We will be coming from Iloilo City. What’s the earliest bus leaving from Iloilo City, what bus and exactly where? The latest bus from the take off point back to Iloilo City? Im flying in on Jun21 and will be staying until the 25th. I would like to get some information on whereI can stay in Gigantes for 3 days. Thanks! I plan to visit Gigante islands with my family in July ( 3rd/4th week ) for 3 to 4 days. Please recommend safe and comfy place to stay and things to do…. We just explored the islands before this May 2013 ends. The place is worth the long travel from Iloilo City. We stayed overnight but we were able to see all the islands and experience things beyond our limits. With that, i wanna share how we maximized our 30 hours of exploration. We tried to contact Joel Decano, Tourism Officer of Carles (09184685006/09166690596)days before the trip and everything went smooth and hassle free. Only 5 of us in the group pushed through and 2 of us travelled all the way from Bacolod taking the 615am trip (php 530/roundtrip ticket/pax). After an hour we went directly to Tagbak to get the 9 am Aircon Bus (php 183/pax) to Estancia. The yellow bus was labeled with “free Wifi on board” but wasn’t working at all. But anyways, the 3 hour trip went very smooth and comfortable. Since we arrived around 12 noon at Estancia downtown area, we got our take out lunch at Andok’s before proceeding to the fishing port. There, we were welcomed by our boatmen and started our journey to Islas de Gigantes. (the pumpboat could accomodate 15 pax for php 4500/whole trip inclusive of our roundtrip ride to Estancia-Gigantes plus island hopping without time limit). The first four islands we stopped over were Pulopandan, Gigantes Sur’s Cabugao Gamay, Antonia’s beach and the Sandbar. They provided us with our personal tour guide/waiter/runner who went with us throughout the trip (tip ranges from a minimum of php 300 and up depending on the tourists’ generosity). Photo opps, swimming, rock climbing and snorkeling were just a few things these islands can offer. We headed off to Brgy. Asluman, Gigantes Norte while the sun sets where the Gigantes Hideaway Inn is located. The villagers there welcomed us with warm smiles and unselfish greetings (we were like celebrities then). The inn was still in the developing stage but the 2 star accomodation was way beyond our expectations since this this place only started a year ago and this was their first summer. Accomodation was only php 200/pax, electricity is up from 4pm til 11pm and is replaced by a generator overnight. For your meals, the inn offers a wide array of seafoods especially scallops (the island is the scallops capital of Panay) at a very very affordable price. Before getting to bed, we had some few beers which were also available. At 530am the following day, we fixed ourselves and headed of the to the lighthouse (parola)via a motorcycle for php 60/pax round trip. There, we were greeted by a Spanish old house and ground remains of the old parola. Few feet away is where a modern lighthouse was built and anyone could safely climb up to the tip to see the panoramic view of the gigantes norte island and Masbate on the other side. Afterwhich, we went back to the Inn and prepared ourselves for a caving adventure. We rode thru a motorcycle again for php 20/pax roundtrip to the foot of the mountain/cave. The caving took more than an hour. In this adventure, you had two options. It’s either you go back after reaching the mid part of the cave or continue towards the exit. Our group chose the exit way. With that, we had to do spelunking by climbing a vertical 2 storey wall without harness. But thanks to our guide who patiently taught us the detailed steps on how to do it. Fortunately, we all did it and went out through the exit way. I thought the challenge was over but going down wasn’t easy at all. We have to pass through sharp stones doing some rock climbing maneuvers. Twas tiring but the total experience was unforgettable! Then we headed back to our Inn to prepare for the last island to visit–the “Tangke”. It took around 30 minutes from Norte to Tangke and upon seeing the place…Wow!!! was very first word I uttered. Twas very beautiful. We stayed there for an hour and went back to our Inn for our lunch. Our total expense for the tour was php 1500/pax (personal boat,accomodation,meals) and remember, we were only five in the group. We left Gigantes at 3pm and arrived at Estancia at around 430pm just in time for the last Bus trip of the day back to Iloilo. I strongly recommend Islas de Gigantes!!! How much for the personal boat? :) Then about your accomodation of 200 per pax , do they have a cr inside? This place is really amusing ILONGGO’s like me should be proud of! PS: How much will i spend if i will go in this place? I’m planning to go there tomorrow morning by myself. I do really have no idea how to get there and worried much on how much will I spend. I think 1 night is not enough for this place..
hi,any info about sa accommodation one night only. Hi Marcos, please help me with our itinerary. I’m really bothered if we can make it for a 3D2N trip in Isla Gigantes considering the pumpboat schedule. We’ll be arriving in Roxas around 11:05 am via Cebupacific, and our flight back on the 3rd day is around 11:35AM. Can you suggest an itinerary? Thanks a lot! Arriving 11:05am, you’ll have a very slim chance of catching the regular passenger boat on the same day. I suggest spending the night at either Estancia or Carles on your first day then hire a pumpboat the next day to take you to Isla Gigantes and do the island tour. If you do spend the night in Gigantes, you can take the early morning boat back to the mainland on your third day. good day to the admin..its just am looking for a friend which I’m searching his name, the Island of Gigantes appeared b 4 his name…(BOYET MAGALLANES)he really lives in this island..I wonder if he is the admin….just to say HI! Hey, who wants with me in this summer to GIGANTE ISLAND? swimming ability is a must… accomodation is free… kung walang budget sa travel expense??? mag-ipon muna…hehehehehehh may bahay kami doon and my relatives are living there……. I’m quite interested… just keep me updated of the chosen date and if I’m available on the said date I could participate and join the group.. I would really like to stay longer if possible to enjoy and explore the islands. Hi, patulong sana ko kung anong dapat o pwede ko gawin since ang schedule ko ay may problem. ayoko naman na magspend pa ng another cents para iparebook lang. Please, if you don’t mind, sa email ko na lang idiscuss in detailed or kaya sa text msg. Eto yung email add ko… [email protected] or 09227244872. Hope to hear from you. Thank you. i like this page. very imformative. hope to visit it soon if i have some free time. 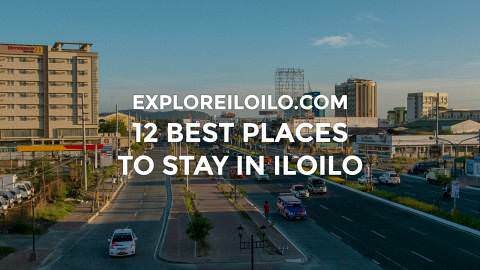 im from iloilo but never been there yet. Hi all, we are going to this beautiful island this coming Dec. 13 – 15. We are only 2 and would love to share the experience and boat expense with fellow travelers also. Anyone interested in joining us? We are the traveler/backpacker type of people who are just happy wherever we are. In case you are interested, you can email me at [email protected]. Thank you very much. hi! i saw from the post of Kris, that Joel’s family can accommodate people in their place..is there anyone who has a contact number? we are planning to visit maybe last week of December or first week of January.. :) or any suggestions for a place to stay..we are a group of max 10 people..thanks! @bea: how much is their island hopping through the tourism office and the average per night rate of accomodation in Carles? Thanks! By the which is much better to Isla de Gigantes via Estancia or Carles? Carles mainland is closer to Isla de Gigantes but there are more transportation options (pumpboats) in Estancia. If you’re commuting, Estancia is the only port with commuter boats that go to Isla de Gigantes. If renting your own boat (pakyaw), Carles is an excellent choice, though, passing through Estancia is also not that bad (especially because it is closer and more accessible if coming from Iloilo City). do you have sample It for 2D/1N tour in Gigantes?? and if possible to pitching tent some inn’s and hotel in the island!! or do you have any suggestion in affordable accommodations with a the best food. thanks in advance!! How long it takes to carles from lloilo airport by taxi. How much is it? How long from carles to lloilo city and how much ? Good day! We are planning to spend our honeymoon there on April 2013. Can you give me any contact details prior to our inquiries. I’ve been to Gigantes twice. On March 2012 I stayed in Paon Beach in Estancia and did a one-day island hopping to Gigantes. I went to the following islands: Gaket-Gaket, Bantigue, Cabugaw Gamay (rock climbing and snorkeling), Antonia (snorkeling), Uaydahon (snorkeling), Tinagong Baybay Daco, Tangke and Balbagon (though we didn’t dock at this island — just a drive-by/sail-by since we were running out of time). Early this week I went back with friends but stayed for 2 nights in Gigantes Norte (decent accommodation at Gigantes Hideaway Inn, they serve meals too and their tap water is potable, you just have to get used to the taste but it’s not that unpleasant). This time around, aside from the islands I already mentioned, we also visited: Tinagong Baybay Gamay, Cabugaw Daco and Balbagon (went down for photo-op and not just a sail-by as before). We went to the parola (lighthouse) via habal-habal (motorcycle) and we also saw how they shuck the deep-sea scallops. The most convenient way to get there is via Estancia. We tried via Carles but the trip is complicated since you ride a bus/van from Roxas to Balasan then jeep to Carles town proper then take a tricycle or habal-habal to the seaport (Bangcal? sorry I forgot the name of the port) if you fail to catch the bus from Roxas that goes directly to Carles seaport. There is a van that goes straight to Estancia from Roxas so its more convenient. Travel time from Estancia to Gigantes Norte is 30 minutes longer than from Carles mainland (or so the locals say, I can’t know for sure because it took us longer to get to Gigantes Norte from Carles mainland than when I came via Estancia, but maybe that’s because the weather was a bit bad when we went through Carles mainland). Contact Carles Tourism Officer — Joel Decano, 0918-4685006 if you want to stay in Gigantes Norte or want to go island hopping. Don’t expect him to answer your call but he will reply if you send him text — this is because they have erratic cellphone signals in the island. Sometimes it takes him half a day to reply to my text but he does reply, just wait. You can also stay overnight in some of the islands but you have to bring all your supplies, especially drinking water since not all the islands have fresh water. Not all the islands have electricity too — and those that have only have it at certain times of the day. The long and winding travel to Gigantes is not for the faint-hearted since the trip by land is a bit daunting (either via Roxas or Iloilo City–I tried both ways) and the sea could get rough — but I’ve seen it as calm as a swimming pool, even the open seas. After a punishing travel to the islands, you’ll get a most peaceful and beautiful reward and I’m sure if you have the time (no flight back home to catch), you’ll stay an extra day or two. very informative. I’m planning to visit Gigantes Island this coming May. I was mesmerized by one of the pictures of my friend she posted on her wall. I think it’s one of the Islands in Gigantes. looking forward for this trip. thanks a bunch. @Johann I’ve been there last week and the place is really beautiful. FYI: there is a place where you can stay for 150/head. The place is owned by Joel’s family (almost all boatman know him). Electricity is available from 3PM to 11PM and their gen set stays on until you need it. There is unlimited supply of water fresh from the mountains so you can have your shower as long as you want-free of charge. There is no wet market in the area though. They will serve whatever is the catch for the day. The good thing is, you will only pay the amount as priced by the fishermen. There is a “sari-sari” store a few steps away. The resort owner will not ask you for additional charges. You just need to give some amount to the “chef” a hundred or two will be enough. Once you go for Island Hoping, you can even ask someone or even Joel to deliver your brunch in one of the islands there. We hired a “pump boat” from Estancia going to Isla Gigantes. We paid 3,500. This is good for a “round trip” travel, including Island Hopping. In our case, we visited 4 Islands and a cave. We hired the pump boat for more than 24 hours for only 3,500.
and from iloilo city, how long it will take to reach guimaras? would u know if there is a place to stay at isla de gigantes like at least a cottage where we can sleep overnight? my family are planning to get there by lunch from concepcion then proceed for island hopping in the afternoon then rest. thanks in advance. helo. will be there this 27th of jan. we will be leaving iloilo @ 11am. is it still possible to cath-up for the trip to isla? @Vic: Good thing I’m not! I’ll take note of your suggestions. :) BTW, is there a place in Gigantes where we can just pitch our tent? If I understood it right, there are no inns for travelers. We have an upcoming trip to Iloilo early next month. We want to experience both Carles and Concepcion. Is it better to go to Carles or Concepcion first? Suggestions please. if you searching memorable and exciting mountain climbing, try the stone mountain of Langub, Gigantes Island…… almost 900 feet high.. take care…. Naida Decin, Hello…. its been a long years since our younger years in college…. Hope to see you again soon…. Hi, if didn’t forget my real name!!!! just search me in facebook… i can’t give you any number in this public conversation… thanks and GOD BLESS…. take care…..
how i wish to visit the place. i’m a lone trekker from bukidnon. surely, this is a very memorable place to visit. iloilo is my father’s hometown. any tip for a solo trekker will be highly appreciated. @celden margarico…. are their any alternative for a less expensive one?— i believe Paon is beautiful because they have this leisure garden chairs right beneath the cliff-deck past the shore…. I would recommend you guys to stay at paon beach resort..the place is nice and they got a swimmin pool..its in estancia…they arrange boat rental for groups…cost aroud 6000 pesos for a day tour around the islands…. This is a warning to those fond of using the comments section for personal attacks and off-topic statements. Comments will be moderated accordingly. Continued abuse will be sanctioned. Thank you. @billy … im sure if you get into this Island…you would personify Jack Black in Gulliver-Travel 2010 kind of guy. This place is very nice to have your vacation. ROSEWOOD resort in tabun-ak, Brgy. Granada, Isla Gigantes Norte can accommodate.They have rooms with aircon.